This 26-year old C. japonica from 'Lady Laura' x 'Lady Laura' first bloomed in 1980. The pink rose form double flower is cone shaped, having 64 petals showing flecks of red and yellow anthers with flesh colored filaments. 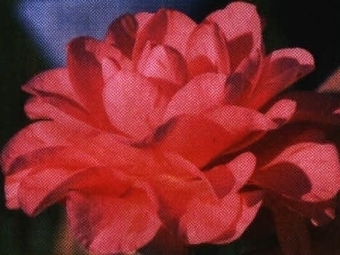 Flowers show unique color, consistent form, are long lasting and suitable for exhibition. Spreading with average growth rate. Flowers fall in one piece. Dark green leaves are 3.5 inches x 3 inches.